According to a report from the U.S. Department of Veterans Affairs, more and more researchers are examining the association between motor vehicle accidents and traumatic stress. 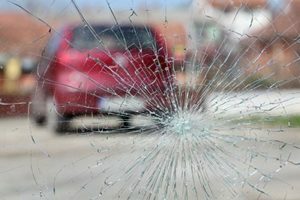 An unfortunate consequence of the large volume of road traffic in the U.S. is the number of car accidents that result in personal injury and deaths. During any given year, approximately 1 percent of the nation’s population will be injured in a car accident. That’s more than 3 million injuries every year, making car accident injuries the most common trauma Americans suffer. If you’ve been injured, an attorney at our Colorado Springs car accident law firm can help. In fact, one large study determined that 25 percent of males and 13 percent of females will suffer a car accident injury during their lives, making them the number one and number two most frequently experienced traumatic event by each gender, respectively. Car accident survivors can suffer emotional distress in the aftermath of an accident. Mental health issues, such as depression, anxiety, and post-traumatic stress are all problems survivors may experience. Since the Vietnam War, in fact, car accidents have become the leading cause of post-traumatic stress disorder (PTSD). Many of these feelings are typical of people who have suffered traumatic events. They begin to be a problem, however, when the feelings become overwhelming or start to interfere with your ability to carry out normal, daily activities. If you have been in an accident and are suffering from any of these symptoms, talking about the details of the accident with friends, family, or a counselor may help. Discuss your feelings and actions at the time of the accident and in the days following it. Try to stay active and involved in any activities that don’t aggravate any injuries you might have sustained in the accident. Be sure to discuss this with your doctor, along with any other issues you are experiencing- the more he or she knows, the better they will be able to help you recover. If you or someone you love has suffered post-traumatic stress after being involved in a car accident or trucking accident in Colorado Springs, we can help. Our attorneys are ready to assist you and fight aggressively for your rights to compensation. We are experienced and skilled Colorado Springs car accident lawyers with an extensive success rate helping injured accident victims. Contact the experienced Colorado Springs car accident attorneys at the Green Law Firm today to schedule a no-obligation consultation and discuss your case. Call us today at 1-719-694-8515.